According to the Daily Mail, Fred is expected to complete his £53 million transfer to Manchester United in the next 24 hours after he left Brazil’s camp to undergo a medical. The Shakthar Donetsk midfielder, who came off the bench in Brazil’s 2-0 win over Croatia on Sunday, looks set to become Jose Mourinho’s first signing of the summer. Fred, 25, saw a January move to Manchester City collapse and now Brazil manager Tite wants business concluded swiftly so that the player can focus on representing his country at the World Cup in two weeks. “This is inevitable when we’re meeting up in the summer,” said Tite. 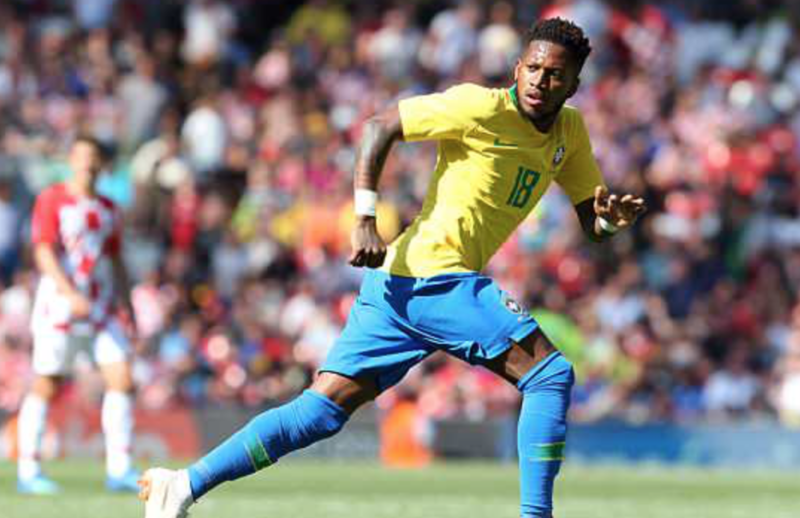 With just 10 minutes remaining on the clock, Fred replaced former Liverpool midfielder Philippe Coutinho as Brazil continued their World Cup preparations with a friendly at Anfield. Both goals came in the second half thanks to Neymar and Roberto Firmino. They now have just one more game before the World Cup kicks off, against Austria next Sunday. Brazil’s World Cup group consists of Switzerland, Costa Rica and Serbia.